Certified by Edgar Cayce's A.R.E., Laurel’s psychic insight provides accurate Tarot and practical spiritual guidance offered with compassion and clarity. With 30 years’ experience, she can “touch the heart” of the matter. Great to talk to. Very insightful. Although she was really nice, she kept talking about “light” and things relating to the “light” and needed to be redirected to the question at hand several times. Refund please. Honest answers with kindness & compassion. and KIND GUIDANCE ~ Welcome New Callers! obscure the truth of our inner light. Through expanded awareness, important information is revealed that can be beneficial in solving life's problems, leading to happiness and fulfillment. Laurel is one who can connect to the source for understanding and wisdom. Her specialty is to quickly perceive the core of the issue and provide immediate, useful understanding and solutions. An honest, accurate, Intuitive with 30 years professional experience offering expert relationship insight and practical spiritual guidance. Honest answers. It is not a service to tell you whatever you wish to hear, just to please you for a moment. Please have a question, or area of concern ready to share. First names of all concerned, please. Just a moment or two for a "connection"
as clarity about the situation arises. Please say what it is you wish to discover. inner being, outer actions and relationships. 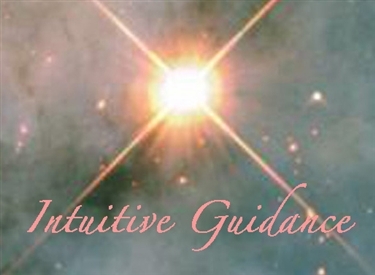 What do callers say about Clear Spirit Intuitive's work? Wayshowers are intuitives who have passed through intensive training programs at Edgar Cayce's Association of Research and Enlightenment in Virginia Beach, VA. Well known trance psychic Edgar Cayce founded the A.R.E. to continue his work of spiritual and intuitive awareness and healing. The training period for certification as a Wayshower usually spans a number of years' training. This certification adds to Laurel's many during decades of professional intuitive, spiritual and healing work. 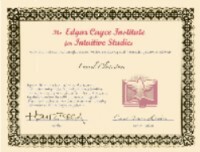 Edgar Cayce, a celebrated trance channel, has said The quality of the reading is related to the intensity of the need, and also to the depth of the questions. Healing Meditation/Prayer is available during and/or after your call. CLEAR SPIRIT INTUITIVE has been a user of Keen since 2001. 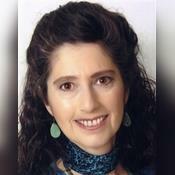 Getting Tarot Readers advice from CLEAR SPIRIT INTUITIVE through www.keen.com is safe, secure and confidential.